Across the United States, students have started test prep. Students march through test packet after test packet with the goal of increasing test scores on a standardized test. In North Carolina, all elementary schools administer the End-of-Grade (EOG) Test. The test is a standardized test which measures how well students understand grade level standards. 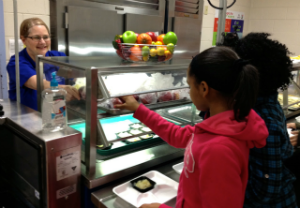 The school nutrition program at Fulton County Schools in Atlanta, Georgia, already goes above and beyond U.S. federal nutrition standards, serving 50 percent whole grains and plenty of fresh fruits and vegetables. The challenge was how to get to the next step: getting kids to actually select the healthy foods. After all, food isn't nutritious until it's eaten. The problem was not about changing menus or the food offered, as the menus and the food choices are already healthy. As area supervisor of Fulton County School Nutrition, my challenge was, how do we engage the students to want to eat healthfully? I believe it's about marketing the food. 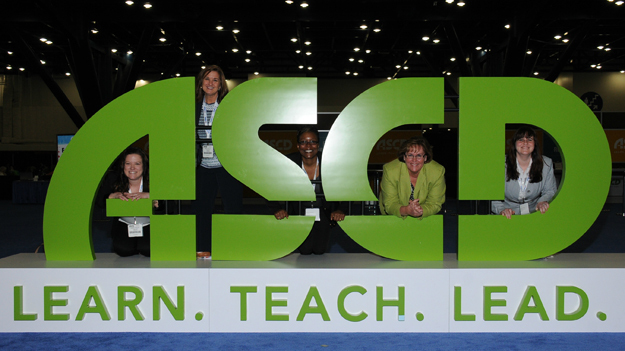 Want to fine-tune some of your teaching techniques in 2013? 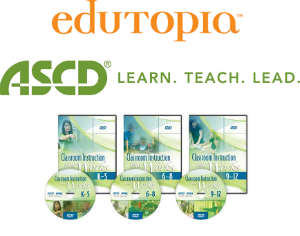 ASCD has partnered with Edutopia and, this week, one lucky winner will receive ASCD's Classroom Instruction That Works, a DVD series that brings to life nine research-based instructional strategies for elementary, middle, and high school classrooms (a $349 value!). With concrete examples and lessons, you'll have plenty of ideas to bring to your classroom in the new year. Go to www.edutopia.org/giveaway by midnight pacific time on Sunday, December 16, to enter for a chance to win. 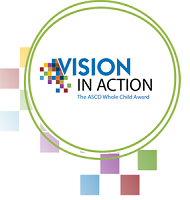 In addition, once you've entered to win, you'll receive a discount code for other ASCD products. 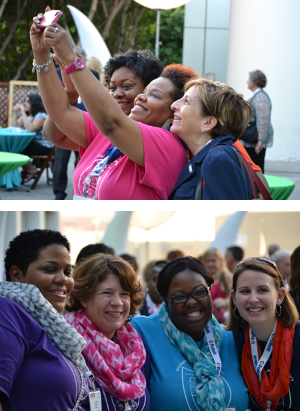 Post written by Howard Adelman, PhD, and Linda Taylor, PhD, codirectors of the University of California, Los Angeles (UCLA) School Mental Health Project/Center for Mental Health in Schools. This post was originally featured on the James B. Hunt Jr. Institute blog, The Intersection. When policymakers introduce another initiative for education reform, the press to implement the new initiative often draws attention away from other essential facets involved in improving and transforming schools. Currently, this is happening with the Common Core State Standards movement. Efforts to revamp schools cannot afford to marginalize any primary and essential facet of what must take place at schools every day. As those who have followed the work of the Center for Mental Health in Schools know, we are moving efforts to improve schools from a two- to a three-component framework (PDF). According to the Centers for Disease Control, approximately 12.5 million children and adolescents between the ages of 2 and 19 are obese in the United States, and the global prevalence of obesity-related diseases among adolescents continues to be a growing concern among health care professionals and parents alike. In an effort to undermine the rising rates of childhood obesity, whole child partner National Education Association's Health Information Network (NEA HIN) and Nestlé in the United States are providing free instructional materials that support educators' ongoing efforts to teach students in grades K–3 about healthy living through a program called Healthy Steps for Healthy Lives. Strong Readers All: What Would It Take ... ? What would it take to make all the children we serve strong readers? It's a bold question to ponder as you prepare for the coming school year. Sadly, according to the latest National Assessment of Educational Progress, U.S. students are not all strong readers. 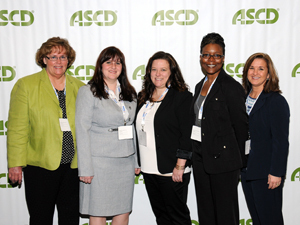 But authors in ASCD's Educational Leadership (EL) summer issue, "Strong Readers All," share stories of how they successfully helped all learners improve their reading skills—by using nontraditional approaches at every grade level.